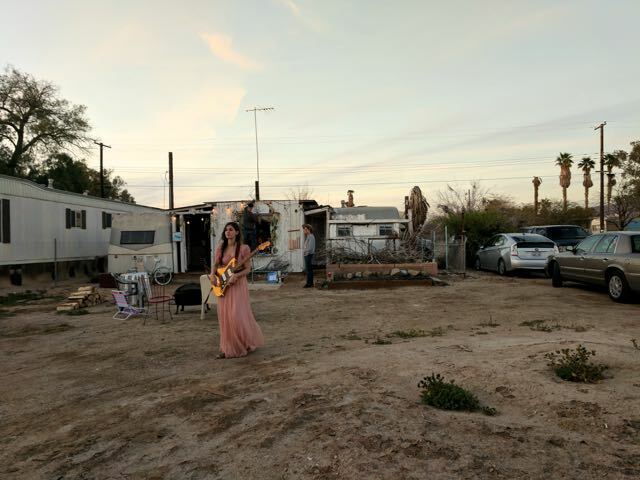 Singer-songwriter Vera Sola prepares to perform at the fourth annual Bombay Beach Biennale on March 22, 2019. Beginning in 1940, the sea served as a naval training base for seaplanes, then became an experimental testing site for plane-launched rockets, space capsule sea landings, sea target bombings and atomic weapons exercises, continuing as a base until 1978. Simultaneously, the sea became a 1950s resort destination — 360 square miles of fish-packed water, abundant migratory birds and sea life — a glassy mirror of desert sky and clouds, ringed by white sand. 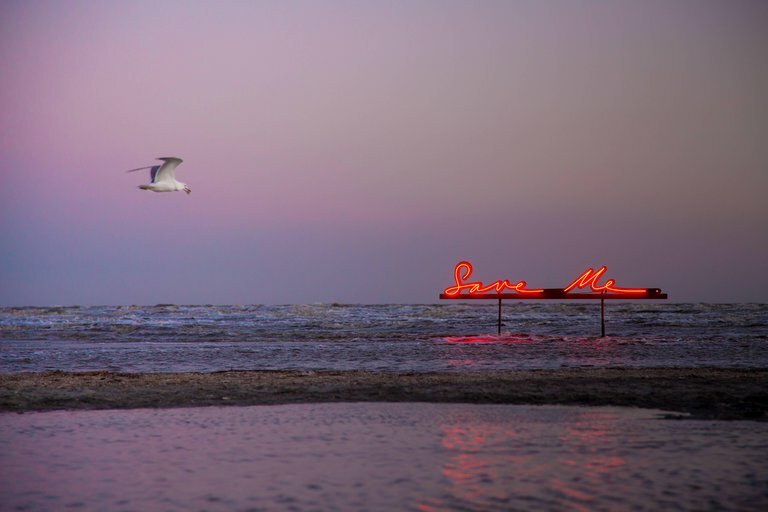 Bombay Beach, built on the Eastern shore, buzzed with bars and a yacht club where Frank Sinatra and the Beach Boys would party at a marina crowded with boaters and holidaymakers. Soon, however, the lack of outflow, and subsequent instability of the water caused by agricultural runoff, raised the levels of salinity, algae, mercury and PCBs. Mass quantities of dead fish washed onto the beaches, whipping up noxious winds of decay. While alternatives for saving the sea were being discussed, the resorts emptied, leaving a post-apocalyptic environmental wasteland. 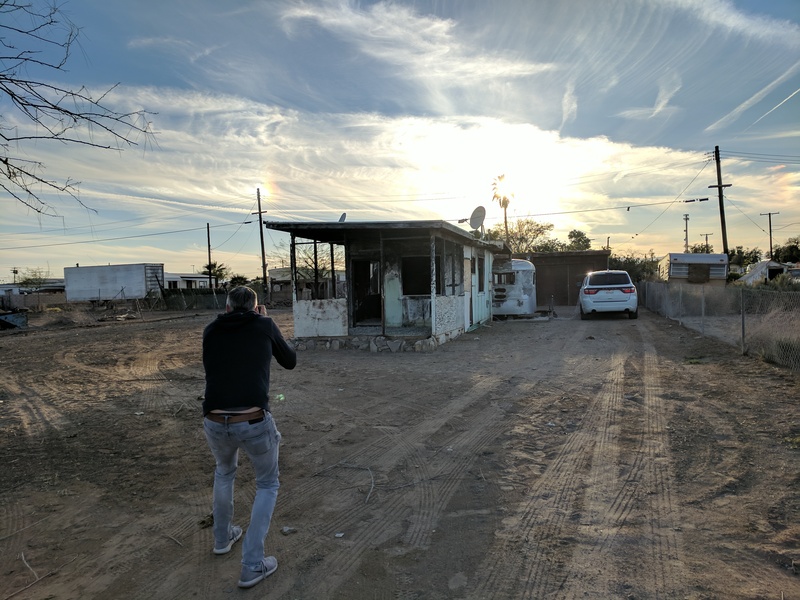 In 2015, three Los Angeles-based friends — a filmmaker, an art collector and a philanthropist — spent the weekend at the Salton Sea. With a remaining population of about 250, the tiny hamlet of Bombay Beach was now a marooned square-mile of burned-out trailers, small bungalows and lots with barking dogs behind chain-link fences, and the lake was receding to uncover an ecological disaster. The Japanese aesthetic of wabi-sabi and its principles acknowledge that objects and experiences are most beautiful when they evoke a feeling of spiritual longing, “nurturing all that is authentic by acknowledging that nothing lasts, nothing is finished, and nothing is perfect,” as Richard R. Powell wrote. 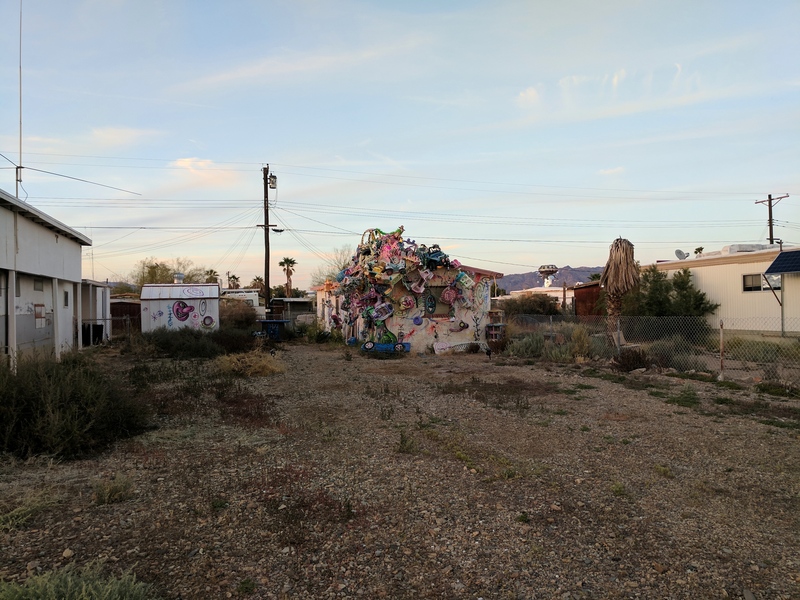 To the friends, Bombay Beach did not just unsettle and confront as one of the poorest communities in California but also as a microcosm, an oracle, a canary in a coal mine and a site for re-imagination. Photographer Lance Gerber photographs New York-based artist Tyler Morgan’s untitled sensory installation. “Never let go of the firey sadness called desire”. I love this quote Sara! As an artist ( and a human being) it resonates with my heart. 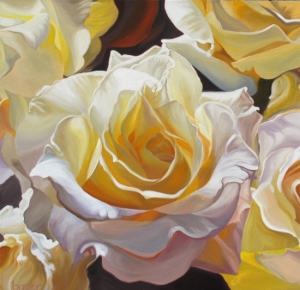 We must learn to embrace our sorrow and often when Im painting, those tears inadvertently, and to my surprise, find a channel. Sadly, your assessment is absolutely correct. We are all *part* of nature. Not separate from it. If we despoil and destroy nature, we despoil and destroy ourselves. We must realize, evolve, and do more to protect nature and ourselves from those who would do harm in the name of “progress” and “profit”. The earth has an amazing capacity for renewal. I wonder if we are stretching it to its limits. And, yes, we have learned something. A few of us anyway. We are slowly grasping the idea that limits exit. Living simply, however, has not gone viral yet. I wonder who decides what ‘living simply’ is. Therein lies the rub. Truly. My ‘knowing’ is that those whose earthly ‘job’ in their current incarnation will be to take care of the planet and the inhabitants on this sweet Earth will do so. 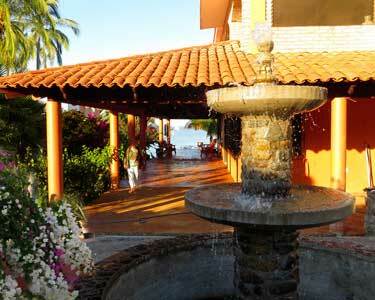 We are here so briefly……….